Caesar’s Palace, a Las Vegas landmark, seems so surrounded by other buildings that it was hard to get a decent photo of just the hotel itself. I liked the blue lights in the Bellagio reflection pool illuminating the Jasmine Restaurant with Caesar’s rising in the background. 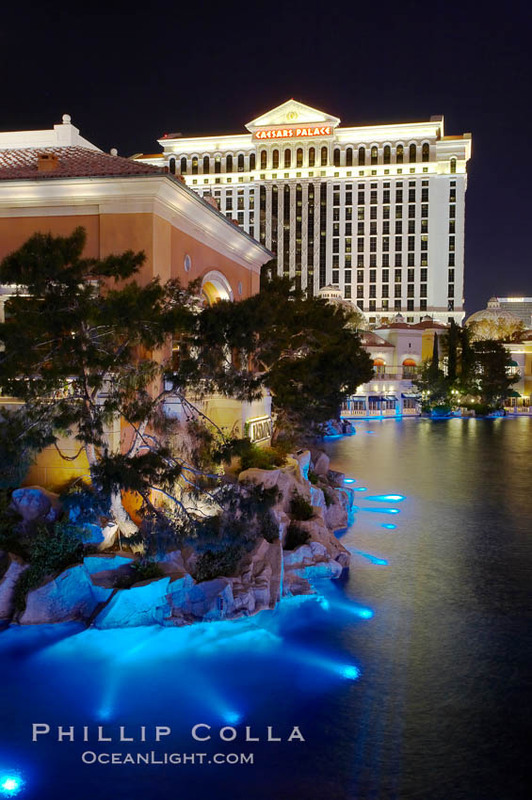 Jasmine Restaurant and Caesar’s Palace Hotel are reflected in the Bellagio Hotel fountain pool at night.